The old ‘supply and demand’ principle of economics has never been so apparent for Reunion Resort’s savvy investors. Today, the Orlando Sentinel reported the increasing scarcity of desirable locations for luxury home sites. As areas surrounding the main commercial and tourism centers become saturated with homes, builders are being forced to look further afield to meet residential demand. Orlando’s vacation rental guests however, demand one critical criteria ‘Close to Disney’! For the short term rental home builders, it’s Osceola County or Polk county only. Osceola is flagged as the Vacation Rental Capital of the World, leaving its “polk County neighbor in the shade. The simple reason is that zoning for short term rental is only permitted in certain areas of those two Central Florida regions. Want to rent in Orange county ‘near Universal’ and you will find nothing that is legally rentable. That’s no sales pitch, that is simply a matter of fact. There’s probably no other short term rental custom home community in the entirety of the USA, and being right on Walt Disney World’s doorstep has driven the desirability and value of the resort into overdrive. Lots will sell at fair prices throughout 2018! So here’s the anomaly with Reunion Resort; the developer sold all of the lots to private investors many years ago, and in that process lost the ability to manage pricing and availability. The result is that we still to this day have some of the best lots as unsold and undeveloped. It’s probably a fair assessment to state that Reunion’s lot prices are going to steadily increase from 2018 onwards, mainly as a function of shrinking stocks of available inventory. Factually, and without any ‘sales spin’ or hype, 2018 could be the sweet spot for prospective owners to buy a perfectly priced lot. Reunion Resort Investment – It’s all About Occupancy! Reunion Resort property managers have a demanding role. Not only must they maintain the house to a highly anticipated physical condition, but their owners expect a competitive and lucrative return on their investments. That of course means that occupancy and nightly rates must be favorable. Choose a good property manager and the occupancy will be a given. Resale values, especially of the larger homes and mid sized homes with good, well themed bedrooms and living spaces, are steadily climbing. The right houses are disappearing fairly quickly from the listing sites. Homes on the West side of the I-4 are typically achieving 95% of asking price and times to sell are around 121 days currently. A stronger GBP could see a surge in demand for vacationers, but also investor too. With a 2 year ‘trough’ at $1.25 per £1.00, UK vacationers are now poised to swarm their #1 aspirational destination as soon as the currency market favors their plans. Equally, the Canadian Dollar rate is recovering steadily this year, offering further rental booking potential, and of course, new build and resale home buyers. 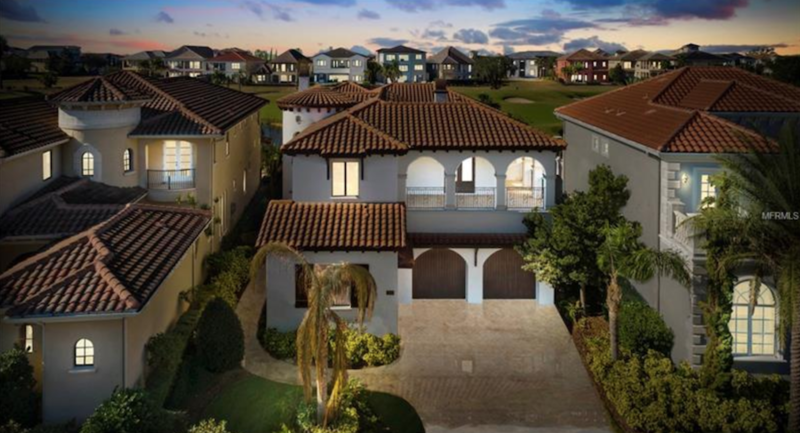 Great news for existing home owners, but equally great news for overseas investors that are seeking to buy or build homes within Reunion Resort, Orlando. 2018 looks set to become a very busy year for Reunion Resort’s realtors and property managers!